[S232] Ancestry.com, Quebec Vital and Church Records (Drouin Collection), 1621-1967. Montréal (Anglican Trinity Memorial Chapel), 1867. [S232] Ancestry.com, Quebec Vital and Church Records (Drouin Collection), 1621-1967.Québec (Anglican) (Québec (Holy Trinity church)), 1915. [S232] Ancestry.com, Quebec Vital and Church Records (Drouin Collection), 1621-1967. Québec (Anglican) (Québec (Holy Trinity church)), 1885. [S206] 1920 US Census, Victor, San Bernardino, California. At the age of thirteen young Sewell embarked on a British warship to start his apprenticeship as a marine, however he soon disembarked to accept an ensignship in the 89th Regiment (12th February 1811), which was then serving in India. 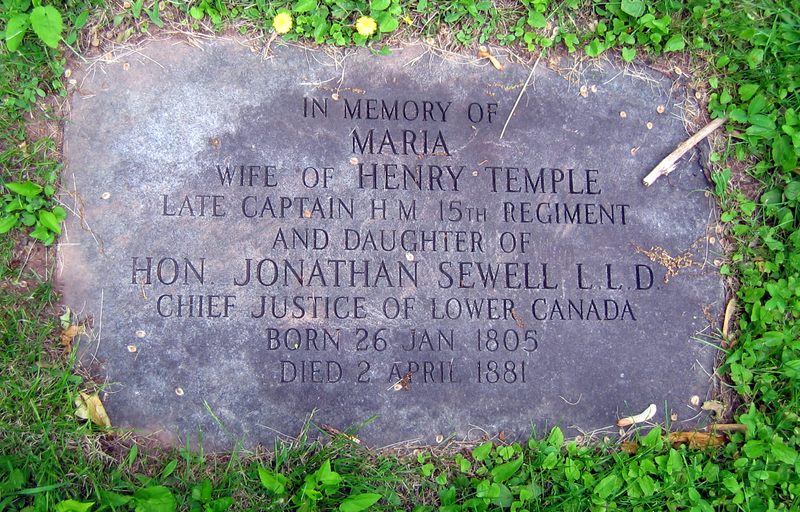 Upon his return to England Lt. Sewell transferred to the 49th Regiment (13 August 1811) which was leaving for Canada. 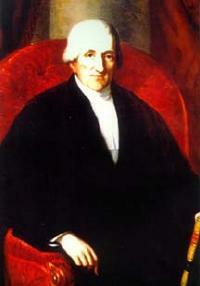 At the end of the 1812-1813 campaign he was promoted to adjutant of his regiment on account of his conduct in the war. The 49th were recalled to Europe a little after 1813 to take part in the war against Napoleon. During the Kaffir Wars Sewell was mentioned in despatches for his bravery. He was promoted Captain by purchase, 22 March 1824, he retired on 27 April 1829. [S378] Pierre-Georges Roy, Fils de Québec, 3rd series, p.65. [S232] Ancestry.com, Platt, Lyman. Irish Records Extraction Database. Ireland Diocesan and Prerogative Marriage Licence Bonds indexes 1623-1866. [S232] Ancestry.com, Quebec Vital and Church Records (Drouin Collection), 1621-1967. Québec (Anglican) (Québec (Garrison)), 1853. [S232] Ancestry.com, Quebec Vital and Church Records (Drouin Collection), 1621-1967. Québec (Anglican) (Québec (Anglican Cathedral Holy Trinity church)), 1875. [S378] Pierre-Georges Roy, Fils de Québec, 3rd series, p. 65. [S482] London Gazette, various dates. [S232] Ancestry.com, Ohio, Wills and Probate Records, 1786-1998. [S392] Website findagrave.com (http://www.findagrave.com/) "# 107973878." Brigadier General Jonathan William Shirley Sewell C.B., C.M.G. Brigadier General Jonathan William Shirley Sewell C.B., C.M.G. was born on 3 October 1872 in Headcorn, Kent.1 He was the son of Rev. Henry Doyle Sewell M.A. and Edith Pierce Morgan. Brigadier General Jonathan William Shirley Sewell C.B., C.M.G. was baptised on 11 December 1872 at the Parish Church, Headcorn, Kent.2 On 24 July 1891 he entered military service as a 2nd Lieutenant in the Corps of Royal Engineers.3 He served in the South African war in 1899-1901 on Staff, and took part in the advance on Kimberley; the operations in the Transvaal, east of Pretoria; in the Transvaal west of Pretoria; in Orange River Colony; and in Cape Colony north and south of Orange River. He was later Director of Engineering Stores, BEF; Brig.-General, 1918; Colonel, 1919; European War, 1914–18 (despatches, CMG), retired pay, 1929.4 He married Edith Mary Preston (May) Churchill, daughter of Vice-Admiral Orford Churchill R.N. and Edith Maria Preston, on 29 January 1896 in St. Mary's, Alverstoke, Hampshire.5 Brigadier General Jonathan William Shirley Sewell C.B., C.M.G. died on 10 August 1941 in Reading at the age of 68 in a nursing home. The death notice gives his address as Dunan, Aldeburgh, Suffolk.6 He was buried in Hartley Wintney, Hampshire. [S115] H.G. Hart, Army List, 1906, 212. [S115] H.G. Hart, Army List, 1906, 218. [S117] The Times Newspaper, Jan 31, 1896. [S117] The Times Newspaper, Aug 12, 1941. St. John, N. B., 9th Oct., 1796. Before this reaches you, the afflicting news of the death of your affectionate father will have reached you and your brother, Mr. Winslow kindly undertaking the office. Your dear father made his exit on Tuesday, 27th September, and had it pleased Heaven to have lengthened his years, I should still have been happy to have discharged the duties of a wife with affectionate attention, which I trust I have faithfully done through life, and have reason to believe your dear father thought so. I was much afflicted Mr. Chipman could not be at the funeral of your dear father, but he was obliged to meet the commissioners at Passamaquoddy Bay. I must add, in justice to our friends, Dr. Paddock, and Ebenezer Putnam, it was conducted with respect and propriety. They followed as mourners Attorney General Bliss and little Chipman in deep mourning; and what, my sons, will afford you both great satisfaction, and what I have received much for myself, your dear father much wished to be interred with Judge Putnam in his vault. Mrs. Putnam readily complied with his desire; of this he was informed. I am grieved to have your joy dampened at the time of your nuptials; I should be very deficient if I did not mention the particular attention I have received. Mrs. Chipman has been particularity kind to me, Madame Putnam, her son and daughter, Col. and Mrs. DePeyster; each of their families putting themselves in mourn ing. A letter of thanks to Dr, Paddock and Mr. E. Putnam would not be amiss. [S433] George Okill Stuart, Admiralty Cases, p. 391. [S9] Carol Berkin, Jonathan Sewell, p. 153. [S21] Various editors, Dictionary of National Biography, Vol. 1, 1224. [S232] Ancestry.com, Quebec Vital and Church Records (Drouin Collection), 1621-1967. Québec (Anglican) (Québec (Anglican Cathedral Holy Trinity church)), 1839. [S16] Simpson, Biographical Dictionary, p. 471. Joseph Algernon Sewell was born on 16 October 1896 in Portneuf, Québec.2 He was the son of Carl De Lindenburgh Sewell and Grace Eyre Ford.1 Joseph Algernon Sewell was baptised on 9 February 1897.2 He died on 8 October 1916 in Somme, France, at the age of 19 serving as a private in the Canadian Infantry (Central Ontario Regiment). His remains are interred in the Adanac Military Cemetery (the name of the cemetery was formed by reversing the name "Canada") which was made after the Armistice when graves were brought in from the battlefields and small cemeteries surrounding Miraumont, and particularly from the Canadian battlefields round Courcelette. [S232] Ancestry.com, Quebec Vital and Church Records (Drouin Collection), 1621-1967. Québec (Presbyterian) (Québec (Chalmer`s Church)), 1897. [S522] Gordon A. Morley and William J. Park, Mount Hermon Cemetery, R1. Justine Elise Sewell was born on 28 August 1905 in Perth, Lanark County, Ontario.1 She was the daughter of Colin James Sewell and Robina Buchan Blackburn.1 Justine Elise Sewell is recorded as Elise Sewell in the 1911 census.2 She died after 11 January 1966 being the date she signed her Delayed Statement of Birth. [S232] Ancestry.com, Ontario, Canada Deaths, 1869-1934. York, 1894. [S232] Ancestry.com, Canadian Civil Servants Lists, 1872-1900. [S232] Ancestry.com, Quebec Vital and Church Records (Drouin Collection), 1621-1967. Québec (Anglican) (Québec (Anglican Cathedral Holy Trinity church)), 1882. [S232] Ancestry.com, Quebec Vital and Church Records (Drouin Collection), 1621-1967. Québec (Anglican) (Québec (Anglican Cathedral Holy Trinity church)), 1885. [S232] Ancestry.com, Quebec Vital and Church Records (Drouin Collection), 1621-1967. Lévis (Holy Trinity Church), 1917. Margaret Evelyn Sewell was born on 2 April 1907 in Wimbledon, London. She was the daughter of Colonel Evelyn Pierce Sewell C.M.G., D.S.O., M.B., BCh., F.R.C.S. 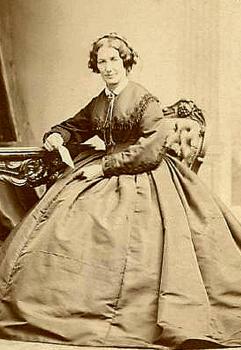 and Zébée Maud Jessie Crombie. 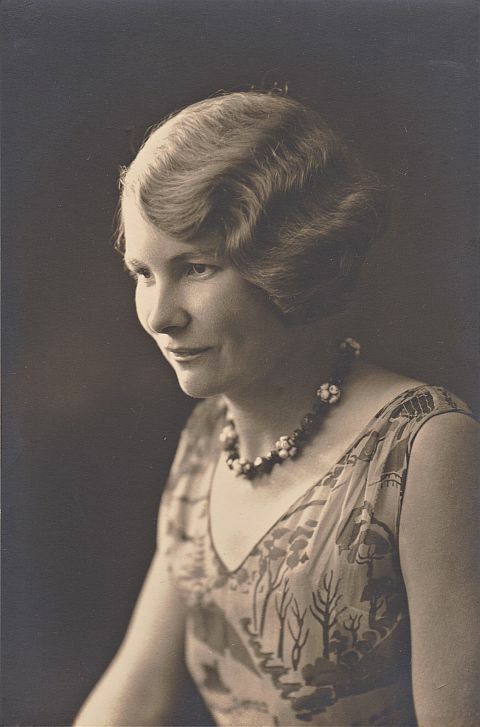 Margaret Evelyn Sewell was baptised on 16 May 1907 at Wimbledon.1 She married Robert Arthur Silvey, son of Robert Silvey and Ada Catherine Burrin, on 27 December 1941 in Hartley Wintney, Hampshire. 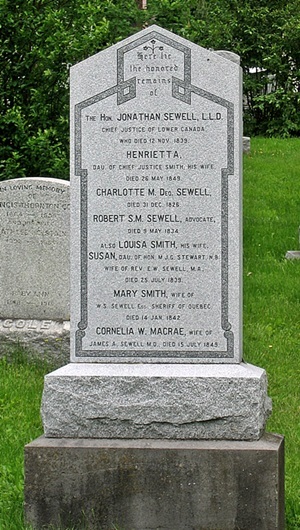 Margaret Evelyn Sewell died on 15 November 1999 in Ottawa, Canada, at the age of 92. She was buried on 19 November 1999 in St. James Anglican Cemetry, Maitland, Ontario, after a funeral service conducted in the Chapel of St. Patrick's Home, 2865 Riverside Drive, Ottawa, Ontario by The Rev. Canon Wayne Thomas. [S232] Ancestry.com, Quebec Vital and Church Records (Drouin Collection), 1621-1967. Québec (Anglican) (Québec (Holy Trinity church)), 1864. [S89] Family Search, Canada Births and Baptisms, 1661-1959.